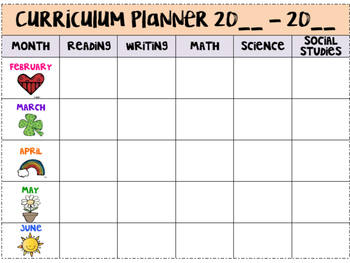 Organize your yearly curriculum, including unit topics, themes, etc. in this two-page chart. 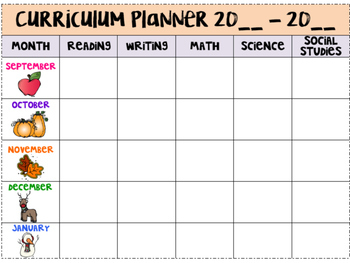 It is colorful and basic enough for any grade level plan book!